A key part of our mission at South Mountain Heritage Society is to preserve, organize, and make available the materials in our collection for use of research. Though a significant part of our collection is on display in our museum’s exhibits, a large amount of newspapers, photographs, and documents are contained in our archive for the purpose of research. We also offer a reference library containing over 100 works on the history of the Burkittsville region, Frederick County, and the Civil War. 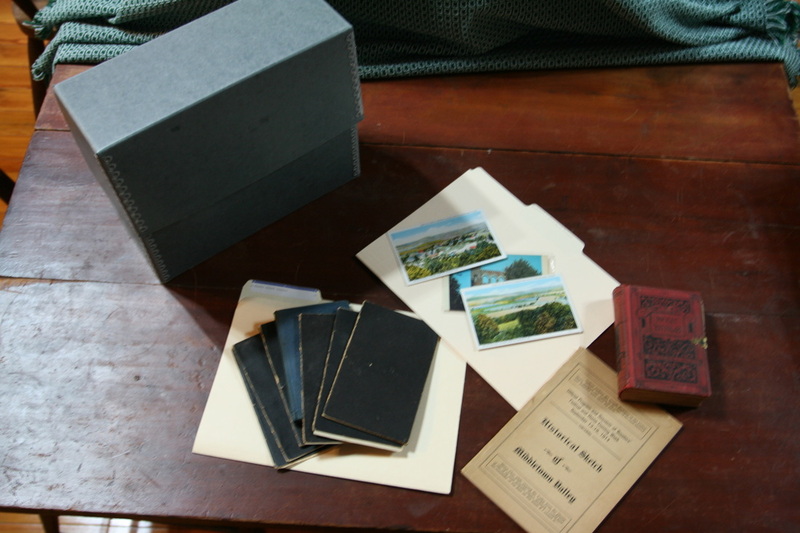 Researchers have access to files on local families and genealogy; documents and deeds for the historic houses, churches, and other buildings in Burkittsville; Newspaper articles and extracts dating back to the early twentieth century; photographs of Burkittsville and the surrounding area, materials such as Bibles, hymnals, and documents from the Resurrection Reformed Church; and many more items. 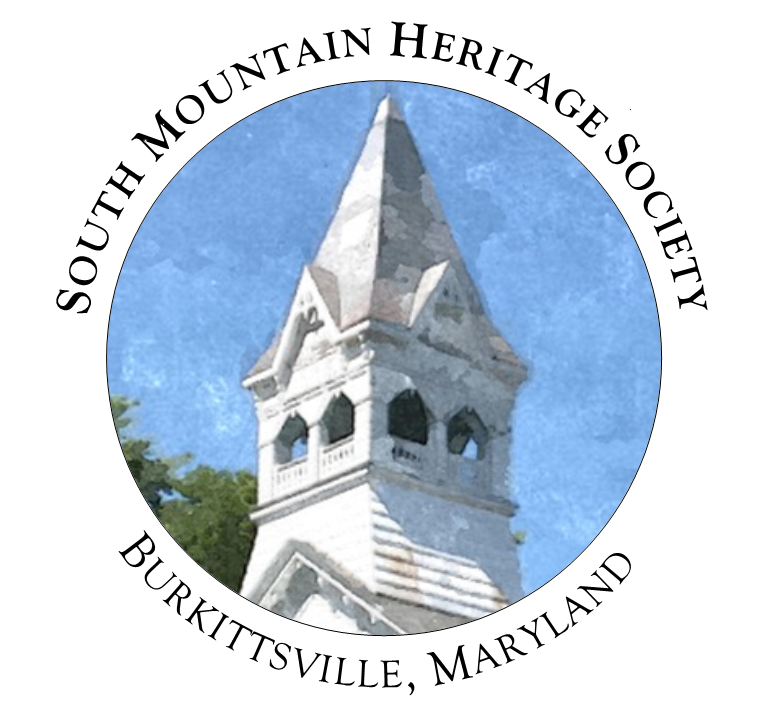 To conduct research at South Mountain Heritage Society, begin by reviewing our Research Policy Form. We offer a research space in our exhibit room. 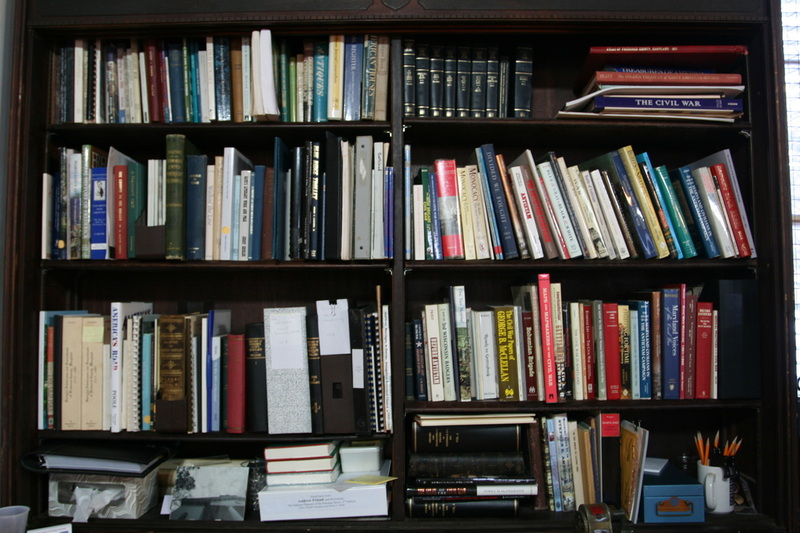 Research must be conducted at the museum, and we will not allow books or materials in the collection to be removed from the center, unless by special permission of the historian/curator. You can submit research queries and questions to our curator by sending a message to info@southmountainheritagesociety.org.